I am really passionate about what I do and hope that you will be as well. 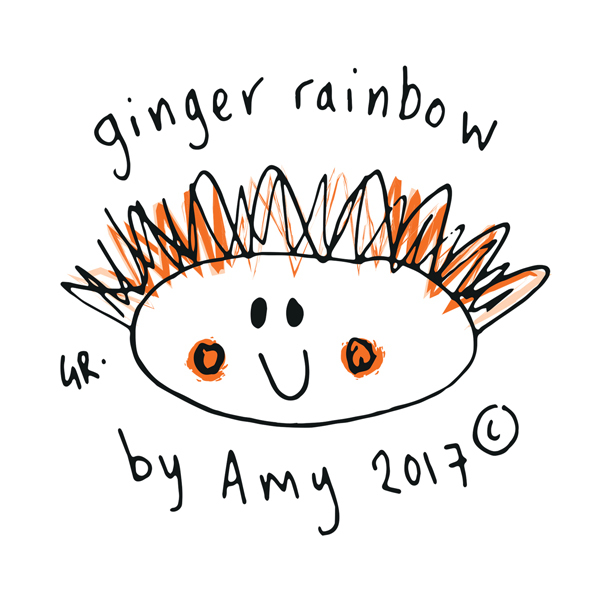 My brand ginger rainbow specialises in no fuss creative colouring in gifts for kids and families. I feel my products meet a need for parents who want creative time with their kids but don't have endless hours in the day.I also think that anything that delivers a low mess activity, with a useable product at the end is a huge win. My (now)"Award Winning"product-Pillowcases with Love, is a a colouring in pillowcase that can be coloured in,customised and sent to parents serving away in the British Forces.I have big plans for my colouring in pillowcases,I want to extend the range and look into promoting them for families who are unable to be together all the time for whatever reason, whether that be away on business,away at uni, working on an oil rig or grandparents in another country. Ultimately I see them as a greeting card with a difference. As if thats not enough to be getting on with I am also working on a brand called mylifescribble which is going to be a range of quirky greetings cards and stationery- with this style of drawing I am going to be developing my business illustration offer and this is almost ready to go. I don't think I've ever worked as hard as I have over the past year and a bit!! I'm super happy to be here and always interested in collaborations , connections and all that jazz.